Pepys Road: an ordinary street in the Capital. Each house has seen its fair share of first steps and last breaths, and plenty of laughter in between. Today, through each letterbox along this ordinary street drops a card with a simple message: We Want What You Have. At forty, Roger Yount is blessed with an expensively groomed wife, two small sons and a powerful job in the City. An annual bonus of a million might seem excessive, but with second homes and nannies to maintain, he’s not sure he can get by without it. Elsewhere in the Capital, Zbigniew has come from Warsaw to indulge the super-rich in their interior decoration whims. Freddy Kano, teenage football sensation, has left a two-room shack in Senegal to follow his dream. Traffic warden Quentina has exchanged the violence of the police in Zimbabwe for the violence of the enraged middle classes. For them all, this city offers the chance of a different kind of life. 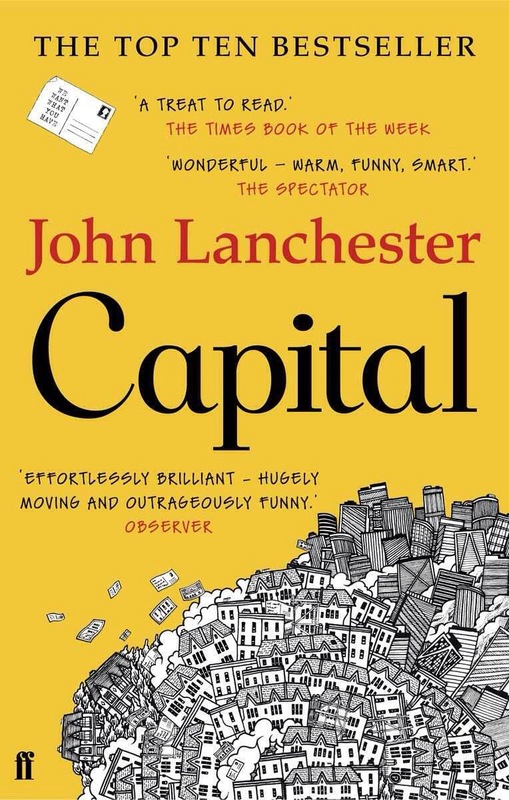 Capital is a post-crash state-of-the nation novel told with compassion and humour, featuring a cast of characters that you will be sad to leave behind. This novel is centred around the inhabitants of a road in London called Pepys Road. The author gives us a view into what goes on in various houses and with those who work on Pepys Road. A number of sinister postcards and DVDs have been sent to the inhabitants of the road causing compliant and the police to get involved. I found the novel quite engaging at first, then I came across some irritating points that wouldn’t ring true in London 2008, and then I wasn’t sure how the novel was going to end and unfortunately it didn’t end well for me. I appreciate the amount if research that goes into producing a novel of this nature but after all that if things still aren’t plausibly portrayed then perhaps there were just too many characters for the author to cope with. Great premise, poorly executed unfortunately. It’s sad that it fell flat for you at the end. I like the cover. I really want to like the books I read but when things start annoying you and the end felt rushed, it was a shame.